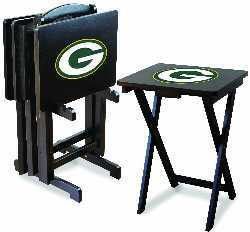 Show pride in your favorite team with logo snack trays. These heavy duty trays are made from select hardwoods with a durable easy to clean surface. Sold as a set of four TV Snack Trays plus Storage Rack. A great way to finish off your game room! Show your school spirit and snack from a team logo NCAA TV Snack Tray! Buy now for Free Shipping! 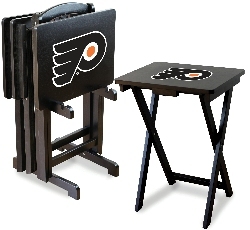 Watch TV and eat your snacks on an officially licensed NHL TV Snack Tray! Free Shipping!